Haha! LOVE IT! All of this snow has really messed with my motivation to get things done. Of course having the kids home from school again tomorrow (teacher retreat)doesn't help my *Clean the house* plan. Every time I can check something off my list, they seem to add 2-3 more things to it! Hope the family is doing well! Cute Blog and adoreable kids!!! Love it!! 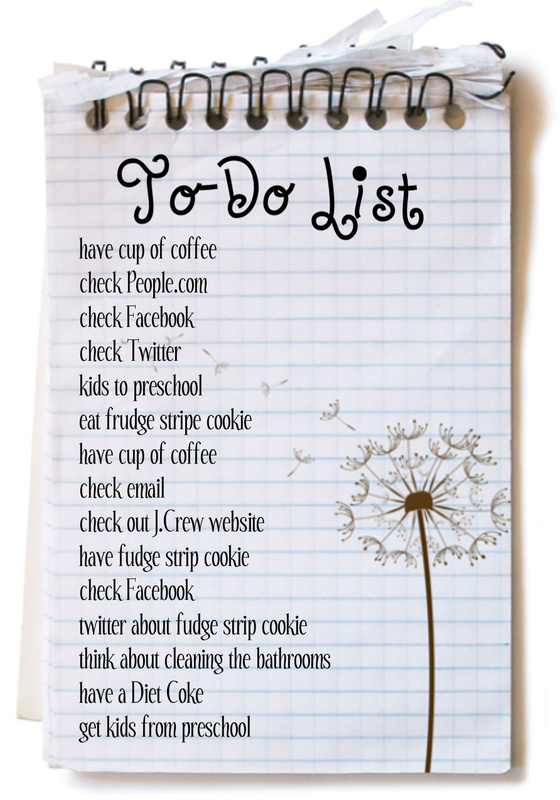 Love the list!! Thanks for visiting my blog and I hope you win the book! I love Ree too as you probably noticed!! She is even sweeter that you could ever imagine in real life!